With only a week before lift-off, the Zambia Study Abroad programs of Gonzaga (traveling to Zambezi & Chimfunshi) celebrated with a “missioning” service this afternoon. Through the singing, blessing, poems and reflections we were called to allow ourselves to be served where we serve and engage the experiences with a full mind, body and spirit. Ethan Kane, Zambezi ’17, shared that when he returned from Zambezi, after “doing” and having so many incredible experiences — a baby shower, a circumcision ceremony, a wedding, a baptism, an exorcism, and even burying someone — he would often reflect on the feelings that Zambia provoked. He shared about the sand of the roads, the sounds of the choirs, the fear of a spider, and the music that moved his body. Ethan explained, “Did you feel inspired? Did you feel in love? Did you feel your heart break? Did you feel passionate? In the end, Zambia was WAY more about what I felt, than what I DID.” He challenged the teams to go out and pay attention so that each person can feel Zambia and the lessons she holds. We hope you will follow along as the Zambezi 2018 group discovers the lessons that Zambia has for them in the coming month. 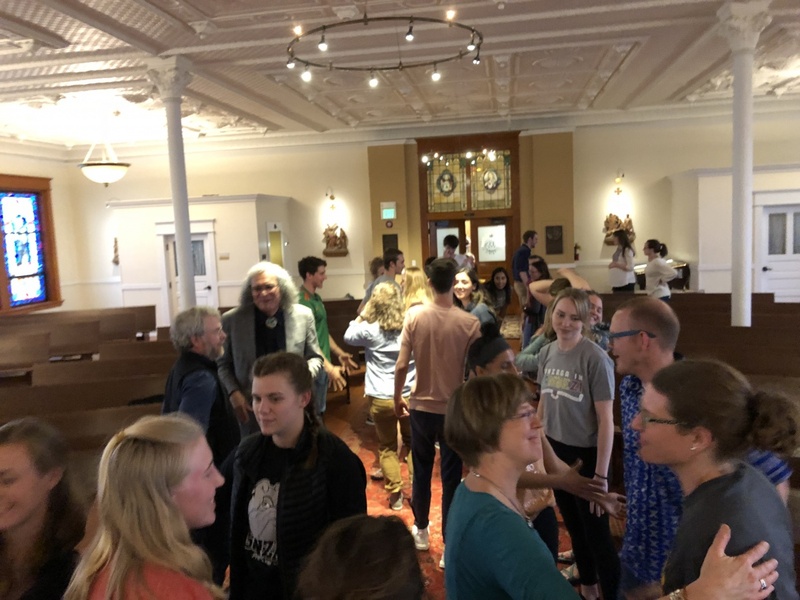 Most days, a member of the Gonzaga-in-Zambezi student group will reflect on their learning, the challenges, and the transformation that true accompaniment with a community can bring. We hope you will join us.